Welcome to our Busy Rascals! Thank you for visiting our website! Please click on the Term Dates menu tab for dates of when the classes and activities are running. We run classes and activities for babies, toddlers, pre-school children in NW London. Please check our Facebook page http://www.facebook.com/busyrascals for updates or contact Sharmine at 07973760598. Monday 10am with Diddi Dance West London for toddlers from walking age and preschoolers up to 5years old. Older siblings welcome. Tuesday 9.30am, 10.05am and 10.40am with Monkey Music Hampstead and Primrose Hill (9.30am-10am for Toddlers 2-3 years, 10.05am-10.35am for Toddlers from 12 months, AND 10.40am-11.10am for Babies 3 months-12 months old). 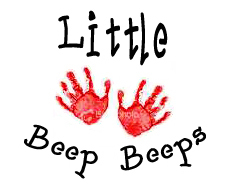 Thursday 10am Little Beep Beeps 0-5 Music and Movement session for babies from birth, toddlers and preschoolers up to 5 years old. Friday No class currently. Please watch this space for new class information on this day. with Diddi Dance West London for toddlers from walking age and preschoolers up to 5years old. Older siblings welcome. (Saturday 13th October, Saturday 10th November and Saturday 8th December all at 9.45am). We offer free or discounted trial classes for our Monday, Tuesday and Friday classes. To book a trial or discounted class for any of the eligible classes, please email trialclasses@busyrascals.com and specify which classes you are interested in attending. Welcome to our Daily Timetable of activities that we host at Busy Rascals at The Queensbury! Please look at the Classes@BR tab for more information on the classes we host! Please also look at the Events tab for adhoc workshops and events! Every Monday morning 10am (EXCEPT BANK HOLIDAY MONDAYS and school holidays) AT Busy Rascals @ The Queensbury Pub Approx £8 per class (6 weeks @ approx £48). FREE taster session for new attendees! Contact Gina Field at Diddi Dance on 07426009179 or click here for more information to book your place! Please look at the Classes@BR tab for more information on this class! Every Wednesday morning at Busy Rascals @ The Queensbury Pub (First class free, £10 for subsequent classes. Paid termly. Please contact Monkey Music direct to pay). Monkey Music classes sometimes do not run through Half Term but please call to check schedule for half term breaks or look at the calendar at the top of this page for dates of when the classes are running. 10.40am-11.10am Heigh-Ho (for Babies from 3 months). Please call 020 8438 0189 or email hampstead.nottinghill@monkeymusic.co.uk to book your complimentary session! Every Tuesday Morning (except school holidays) 10.15am-11.30am at Busy Rascals @ The Queensbury Pub except during school holidays (i.e. half term breaks, Easter break, Summer break and Christmas break). Please click on the Term Dates menu tab for term dates. However, please check that the session is running before attending by contacting Sharmine on 07973760598. £5 per adult attending. £1 per child over 6 months old. Under 6 months no charge. Adult Entry price includes biscuits and one hot or cold drink from a selection of refreshments! Child entry price includes babycinno and a small snack. A friendly and popular local playgroup hosted by Sharmine of Busy Rascals for mums and dads with their babies and children under 5s. We have toys, arts and crafts and snacks for the little ones. No need to book- just turn up! Please note that if this is your first time, we advise contacting Sharmine before attending to check session is running. To find out more about this Playgroup, please contact Sharmine on 07973760598. NCT NW2 Bumps and Babies Every Tuesday Morning (except school holidays) 10.15am-11.30am at Busy Rascals @ The Queensbury Pub except during school holidays (i.e. half term breaks, Easter break, Summer break and Christmas break). Please click on the Term Dates menu tab for term dates. However, please check that the session is running before attending by contacting Sharmine on 07973760598. £5 per adult attending. £1 per child over 6 months old. Under 6 months no charge. Adult Entry price includes biscuits and one hot or cold drink from a selection of refreshments! Child over 6 months old entry price includes babycinno and a small snack. A friendly and popular local group hosted by unpaid volunteers on behalf of the NCT for pregnant women and new mums (and dads). Why don’t you drop by for a chat and a coffee and a cake or two? No need to book- just turn up! Please note that if this is your first time, we advise contacting Sharmine before attending to check session is running. To find out more about this Tuesday Group and also other NCT NW London events, please contact Sharmine, the NCT Volunteer NW2 Bumps and Babies Organiser/Main Host, on 07973760598. 10am (for Babies from birth to Toddlers/preschoolers aged up to 5 years old). £7.50 drop in per class. £5.50 for siblings. £5 for babies under 6 months. 0 months – 5 years old. Drop-in/Pre-book. Limited spaces. For more information and to reserve a place, please email Julie at singanddancewithjulie@gmail.com or call 07811 363217. No class currently. Please watch this space for new class information on this day. Second Saturday of the Month: Diddi Dance for toddlers from walking age to children aged 5 years old. Please see below for more information. Next class Saturday 13th October, Saturday 10th October and Saturday 8th December at 9.45am. £10 per session per child. Discount for siblings (an additional £5 per child for any siblings after paying full price for first child). A funky pre-school dance class for girls and boys aged from walking age to 4.5 years old. At Diddi Dance we realise and encourage endless enthusiasm and energy in an action packed, full of fun 45 minute dance class. Using various dancing games and exercises, bells, hoops and dance ribbons to our own funky pop songs your little one not only improves their rhythm and coordination but also social and gross motor skills. We also look at different dance styles every half term from salsa and hip hop to country and disco. Contact Gina Field at Diddi Dance on 07426009179 or click here to pre-book your place!